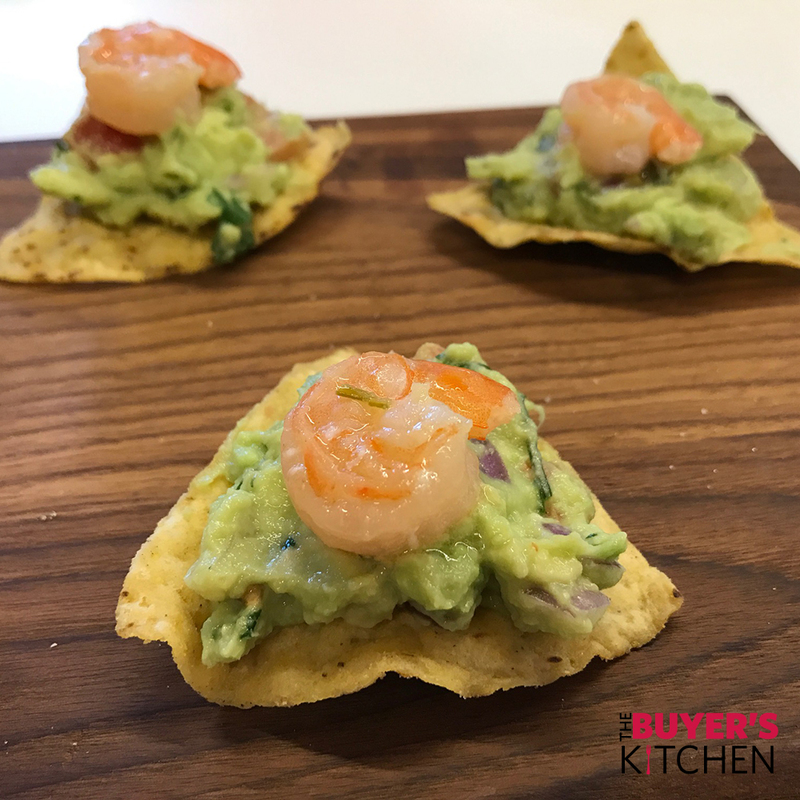 The Big Game calls for snacks big in flavor, but easy to eat while you watch. 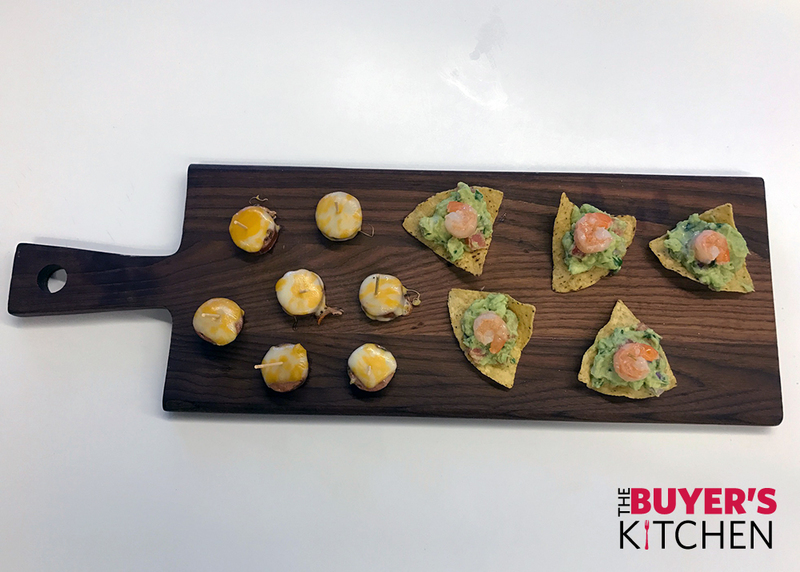 We’ve made some simple Surf and Turf snacks from this week’s ad items that are big on flavor, but bite-sized so you can focus on the game. Melt 2 tablespoons of butter over medium heat. Add shrimp salt and pepper to taste, cook and stir frequently, about 3 minutes or until pink, then set aside. Add garlic to pan, sauté for about 1 min, stir in chicken stock and lemon. Once boiling, reduce heat. Add in the remaining 6 tablespoons of butter, stir until all butter is melted. Stir in shrimp, and coat the shrimp with garlic lemon butter. Cover and let simmer for 5 minutes, or until cooked through. Remove from heat. Finely dice tomatoes and onion. Slice and dice avocados. 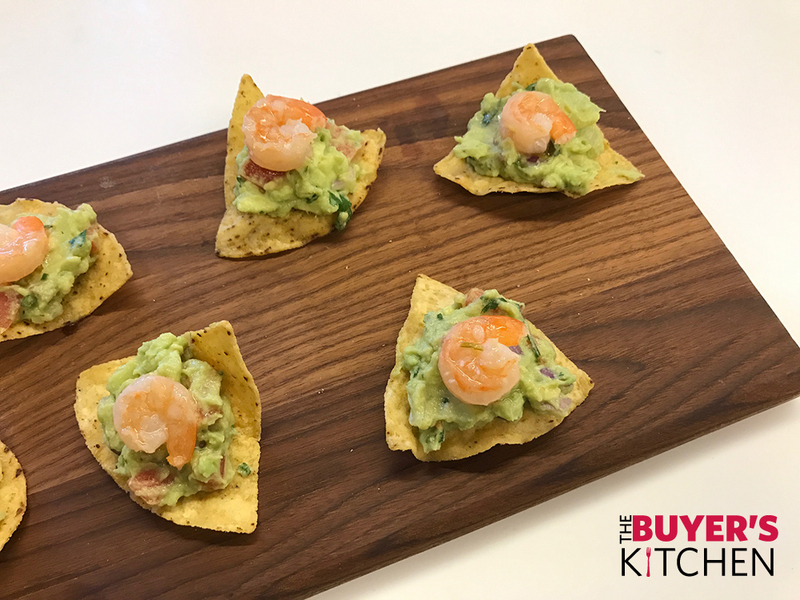 In large bowl combine avocados, tomatoes and onion and mash together with a fork. Add in garlic salt, red pepper flakes and lemon juice to taste. Cut all sausage into 1/2 inch sized slices. Place all sliced sausage in a medium heated sauté pan. Cook each side for ~3 minutes or until browned. While the sausage is cooking, fold cheddar cheese slices twice over to make 4 smaller sliced cheddar cheese squares. Place cheddar cheese slices on each sausage slice and cover the sauté pan to let cheese melt. 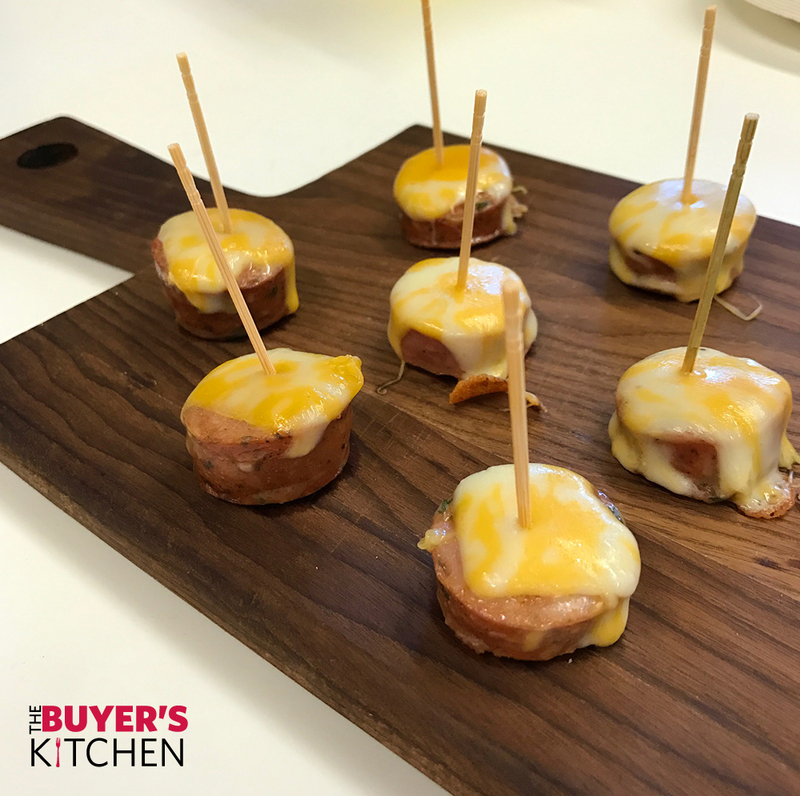 Toothpick each sausage cheddar bite, place on serving dish and enjoy!